All season long the WPH Outdoor players strived to gather points. This past weekend in Vegas it came down once again to the final match of the event to determine the men and the women’s champs. In the end, Tanisha Groomes and Juan Santos take the trophy. Starting this season, the WPH pays a bonus to those in the top four. 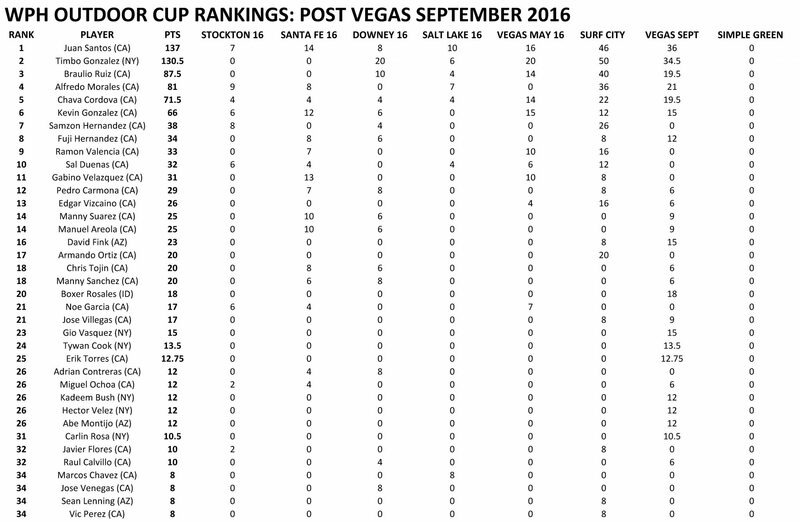 …Simple Green’s US Open will count as a ranked event, although it will not be part of the cup series. Expect changes at the top, as the players in all brackets find themselves being pursued.